Got chard and wondering what to do with it tonight? That was the case with the remnants of our last CSA box: a lovely bunch of Swiss chard―screaming for attention. 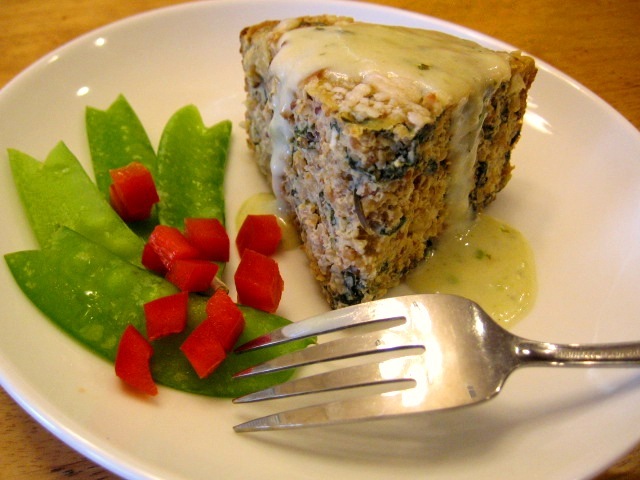 Here is a tasty chard and quinoa combination that is not only packed with extraordinary health benefits, it also delivers plenty of personality and eye appeal. The light basil sauce hits all the right notes and makes the perfect complement to this hearty dish. Whipped together while the torta bakes, the creamy accompaniment elevates this beauty to more than just another mid-week meal solution. Don’t let the list of ingredients and instructions discourage you, because the torta is easily assembled and popped in the oven in under an hour. The sauce and any clean-up can be finished while it bakes. Allow the torta to rest a few minutes and it will slice smoothly into tall elegant servings. If you are lucky enough to have leftovers, they are even better the next day. For the Quinoa: If not pre-packaged, rinse the quinoa, drain it, and toast it briefly in a dry cooking pan over medium heat to remove its natural coating which can cause bitterness. Add water, salt and bay leaf to the pot and bring to a boil. Cover the pot, cover, reduce heat to low and simmer for about 15 minutes or until liquid is absorbed. Set aside, covered, while preparing torta ingredients. Coat a large quiche dish or other 2 qt. oven ware with 1 tsp. butter or olive oil. Preheat oven to 350 degrees. Heat the oil in a sauté pan over medium heat. Add the onion and sauté until soft, stir in the garlic and the rosemary, and cook 1 minute. 4. 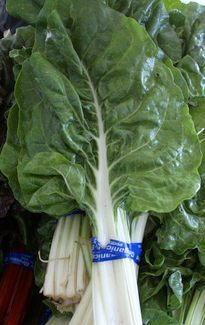 Add the chard leaves, salt and pepper, and toss to combine; cover and cook 5 to 8 minutes to wilt and soften leaves and any residual liquid is absorbed. Place the chard and quinoa in a mixing bowl. Meanwhile, combine the eggs, 1/3 cup Parmesan, the milk and salt. Pour this over the chard mixture and combine well. Pour the torta mixture evenly into prepared dish and bake for about 40 minutes. Sprinkle with 1/3 cup Parmesan and bake additional 10-15 minutes, until top begins to brown. Remove and allow to rest a few minutes before cutting. Serves 4 or more. In a saucepan over medium heat, melt butter and stir in the flour; whisk and cook or 2 minutes; add the garlic and stir for a minute to incorporate well. Whisk in the chicken stock; stir until it is thick and smooth. Slowly add the milk; whisk until the sauce is thick and smooth; stir in the nutmeg, salt and white pepper, Tabasco, and the Parmesan cheese. Just before serving, add the pesto and the onion and stir until well blended and smooth. Adjust seasoning and serve hot. Hi Carole, your blog post is very crisp, I love the WordPress theme and your images.